Science and technology are quite busy making our lives easier and more efficient. Long gone are the days when we needed to worry about stuff; storing data, how to contact other persons etc. Today we see science making impact on every profession and making it from just average to good and excellent. Gadgets, devices, softwares and what not; we are on a technology ride through the science park! You think of something and there’s a pretty good chance that it’s either in production stage or being worked upon. Teams of scientists are working tirelessly round the clock to make life easier and safer. For instance, let’s talk about locks! How irritatingly furious it is to manage to open locks with all those bags you’re carrying or the burden of notes with you? Science presents a solution to you; just touch the lock with your free finger and that’s about it. The lock shall open. No need to enter any PIN or turn the key or whatever man. Just touch and unlock. This is what UniKey has to bring to the table; a normal deadbolt lock which has a touch-and-unlock mechanism that has nothing to do with fingerprints and their recognition. It is the future of locks! Why does this particular lock qualify as an amazing piece of science? One may very well ask this question for there is a variety of keyless locks already out there. 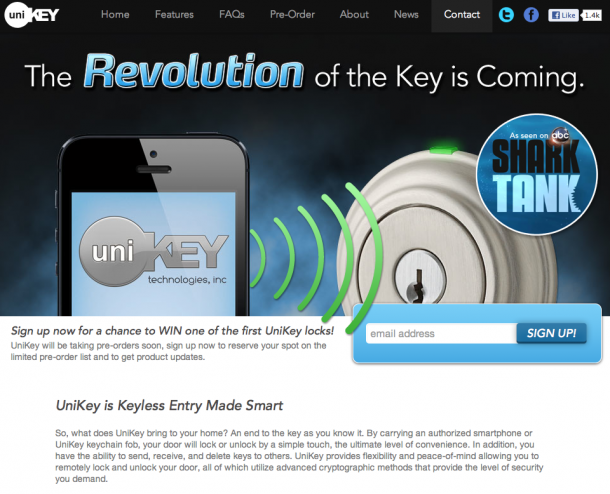 UniKey has a functionality which is far more expanded than any other lock out there. For instance; we are not dealing with a PIN or Z-Wave installations. This lock employs the use of proximity sensors, Bluetooth and an iOS app. Once you are in the proximity zone of the lock, without taking out your iphone or ipad, without starting the app, you can touch the lock and unlock it. This is what UniKey promises. The proximity range can be defined by the user. The company is developing app for other phone OS too. And just in case you don’t own an iPhone, the company offers a key fob that principally does the same as the iOS app; it creates a Bluetooth ‘bubble’ which can be used to touch and unlock the lock. 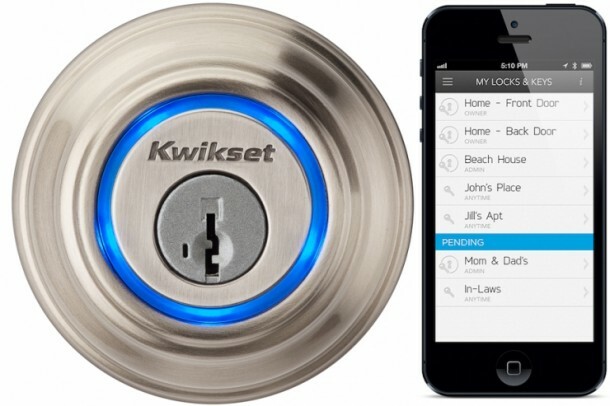 UniKey lock is developed by Kwikset and it is sold under the Kevo brand name. The most amazing part of this gadget is still to come; you can create virtual keys and send them to other family members. One can create permanent keys and temporary keys as well. The temporary keys are only valid for a certain period; let’s say Friday 4pm to 6pm. All these keys can be cancelled at any time. A house guest can even lock the door in case you left early by tapping it three times. However, the guest won’t be able to unlock it so they better make sure all their luggage is out before locking the door! In case one loses their phone, they can log in onto UniKey website and cancel the phone privileges. This website can also be used to transfer the account to another phone. UniKey also maintains a log of entries and the primary user gets a text/email notification every time somebody uses their key. The company says that this gadget will be available at a little less than $250 price by July. Fingers crossed!